You know the phrase, “One man’s trash is another man’s treasure”? That’s how I feel about to-do lists. After all, how you track your tasks depends entirely on the person. Are you looking for a simple interface, or are you hoping to color-code and categorize hundreds of tasks at once? Is this to-do list for yourself, you and your family, or you and your entire team? 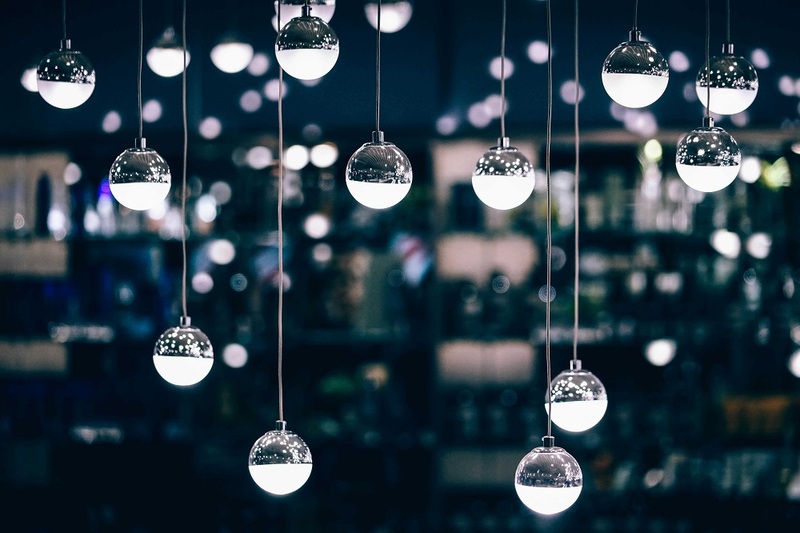 How much do aesthetics matter? There are hundreds of to-do list tools out there, but some of them are just plain better than others. To help you separate the really solid ones from the rest, we’ve curated a list of 10 of the best to-do list tools below, including short descriptions to help you determine which may be right for you. Wunderlist was my best to-do list app of 2017. Well, it’s remained my favorite this year — especially now that both its Basic and Pro versions are now free to access (Wunderlist Pro used to cost $4.99/month). 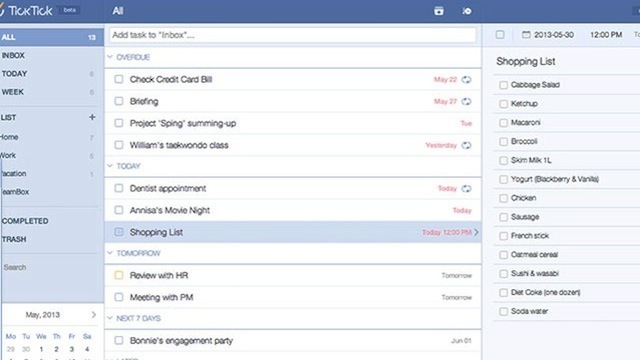 This app is such a powerful productivity tool that Microsoft bought it in 2015, The Verge named it best to-do list app the year before, and Apple named it App of the Year the year before that. And unless you want features like unlimited task delegation and file uploads, the free version offers just about everything you’ll likely need. In a nutshell, Wunderlist lets you create to-do lists you can then share with friends, family, or coworkers — who will have editing capabilities of their own. And the user experience (UX) doesn’t get messy, even when both people are working on a list at the same time. When I use Wunderlist to share a grocery list with my roommate, for example, we’ll sometimes go to the grocery store together and tackle the list simultaneously. And it’s actually fun to check things off and watch her check things off at the same time. Finally, it’s sleekly designed and very user-friendly. Adding and checking off list items is simple and intuitive, as is adding and checking off sub-tasks, adding a due date, adding any reminders you may want, and so on. Sign in to Slack. Click on your company name in the top left corner, then choose “Configure Integrations” from the dropdown menu. Once you’ve authenticated Wunderlist, all you have to do is choose a list from your Wunderlist and click on “Save Integration.” Boom, done. Although Todoist has been around for a while, it’s become especially powerful in just the last few years. This tool includes a ton of great features that let you organize tasks by date, color-code them, and so on. 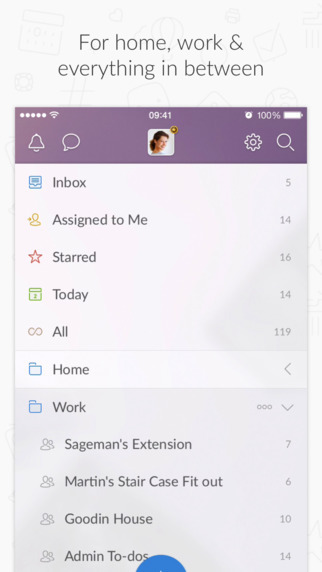 The free version has fewer features than Wunderlist’s free version, but it’s very well-designed and user-friendly. You can create sub-tasks and dependencies, projects, and sub-projects. You can attach due dates to these tasks, prioritize them using a color-coding system, categorize them, and more. The premium account costs $29 per year and includes push notifications, email reminders, labels, and filters. Todoist is available for (and looks great on) every major platform: the web, iOS and Android apps, desktop apps for Windows and OSX, add-ons for Firefox and Chrome, plug-ins for email apps like Gmail, Thunderbird, and Outlook, and more. 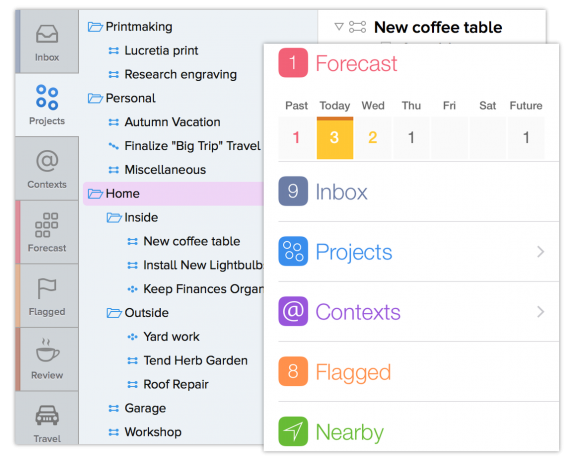 Not to mention, it integrates with services like Google Drive, Sunrise Calendar, and IFTTT. 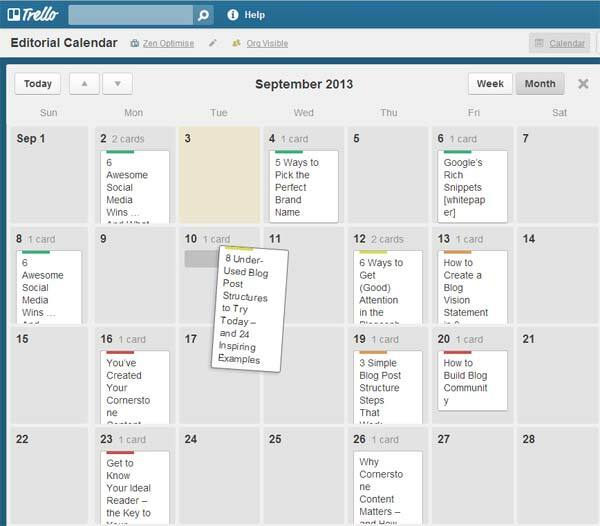 Trello is the online project management tool that our blogging team uses here at HubSpot. It lets you drag, drop, color-code, and manipulate to-do list items in a way that many of the other tools on this list don’t. You can arrange larger projects into “boards,” under which you can add all sorts of lists to break down that bigger project into sub-projects. Under each list, you can add what they call “Cards,” which are items in a list. 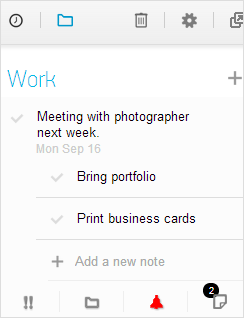 You can add a due date, a checklist, notes, attachments, and color-coded labels to each card. You can also drag and drop cards between lists and boards. My favorite thing about Trello is that it lets you visualize your to-do list in a way that’s easy to follow — including a calendar view. In the calendar view, you can see what your upcoming tasks look like a week or a month at a time. You can also drag and drop cards between calendar days to change their due dates. The free version lets you create unlimited boards, lists, cards, members, checklists, attachments, and so on, and allows integration with Box, Google Drive, and Dropbox. The paid versions allow for more storage, more customization, stricter privacy options, and other added features. Here’s a task management tool some of the most organized people in my life swear by. 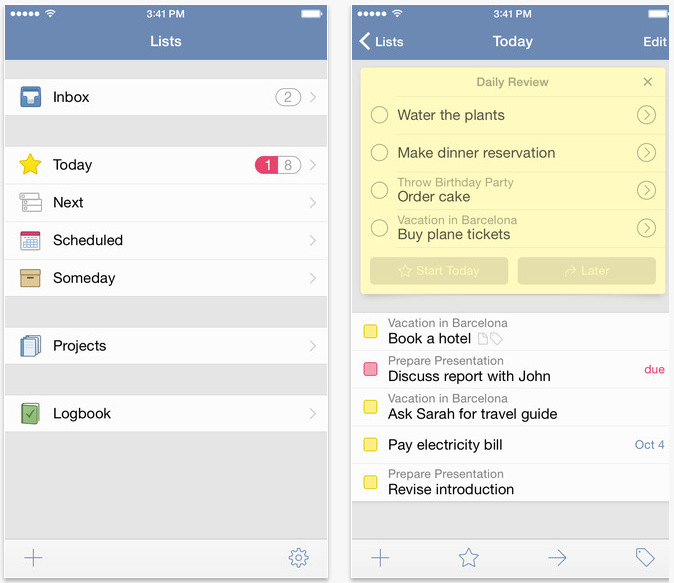 ToodleDo is a very user-friendly tool for organizing simple to-do lists on your iOS and Android devices and on the web. It’s heavily focused on tasks, and that’s what the tool does best. 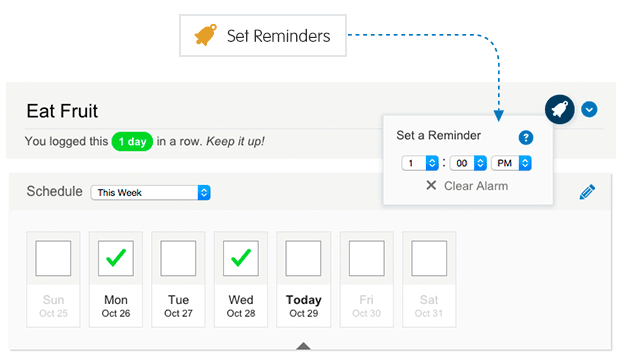 Under each task, you can sub-tasks, additional notes, priority ratings, due dates, and reminders. You can also organize your tasks into different folders. Although it’s mostly for task management, there are also sections of the tool where you can take notes, create outlines, and even track your habits, like in the screenshot below. You can also share your lists, collaborate with others, and assign tasks to anyone you’d like. Any.Do is one of the more beautifully designed apps on this list. It offers all of the features you’d want in a to-do list app, including drag-and-drop and swipe-to-complete, but there are a few things that make it stand out. For example, its key differentiator is “the moment” — a push notification you get each morning telling you to plan your day. There are also a few other cool and delightful features in there, like voice entry and the ability to shake your device to clear finished tasks. Any.DO Moment from Any.DO on Vimeo. That sums up the user experience pretty well. Now known as Things 3, this third-generation task manager is intuitive, well designed, and very simple. It’s also not the most intuitive to due dates if you describe a particular task with the time to completion; if you say “next Wednesday” in the task description, you’ll have to set the corresponding deadline manually. Nonetheless, if all you want in a to-do app is a beautiful design and the ability to organize simple tasks and lists — and you have $10 to spare — then Things could be a good bet. If you like the idea of checking things off on your Apple Watch, it also offers full Apple Watch Support. Otherwise, you might be better off going with something more complex. TickTick is a relatively new player, but it has a lot of potential. Like many of the other tools on this list, you can add new tasks, sub-tasks, set deadlines and custom reminders, and share with other users. You can also set recurring to-do list items for every day, a specific number of days, a week, a month, and so on. The Pro version has a great calendar view where you can see what your to-do list looks like on a daily or weekly basis and get ahead of the game. You can drag tasks to change the order, and drop tasks into the calendar on the bottom left to set a due date. It also has revision history and an “experimental labs” feature. In addition to its mobile apps, TickTick now offers Windows and Mac web apps as well. This to-do tool has a beautiful interface with a solid — and growing — feature list. Keep an eye out for updates and check out TickTick plans here. Google Keep has existed under the radar for a long time, but it’s actually a great tool if you’re looking for a place to quickly make and save lists and notes and access them across multiple devices. 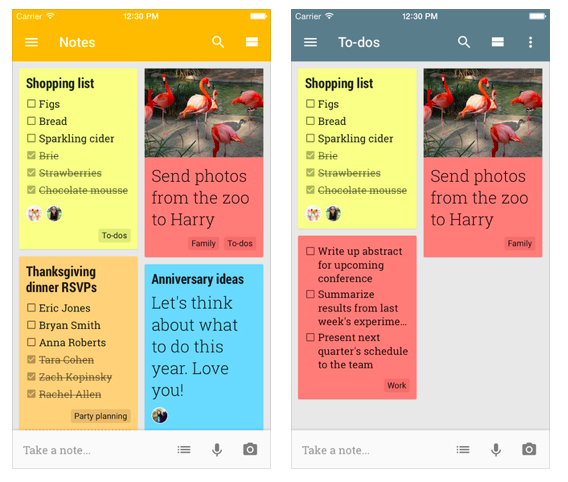 At its core, Google Keep is a simple notepad that connects to Google Drive, where you can keep checklists, photos, voice notes, and other text notes that sync across multiple devices as well as the cloud. Don’t let the price tag deter you: If you’re an iOS user with a lot of different projects and tasks to track, and you’re looking for an app that organizes all these items in a super comprehensive way, then you’ll want to check this out. This app’s latest product is OmniFocus 2. On its home screen, you’ll find a forecast summary of your upcoming to-do’s, as well as color-coded badges that show you what needs attention at-a-glance. Whenever you think of a new to-do list item or task, you can quickly enter them into your “Inbox,” during or after which you can apply this item to a specific folder, list, or context. While most people would prefer something a little simpler, this is a great option for power users that are cool with a bit of a learning curve. This one is for the video game lovers among us — or anyone interested in quite literally “gamifying” their life. Formerly HabitRPG, Habitica is a habit-building app available on iOS and Google Play that turns your to-do list items and projects into a medieval-themed, role-playing game. You can level up your character when you succeed, earn money to buy weapons and armor, and defeat enemies — just by crossing things off your real list of tasks. If you miss deadlines or fail to cross things off, you’ll take hits to your health and your character will lose progress. You can categorize your achievements into folders like “School & Work,” “Health & Fitness,” and more. Ready to download one of the task list apps above? Put all your projects on the app of your choosing, then download the free guide below to learn how to stay on track during the day.